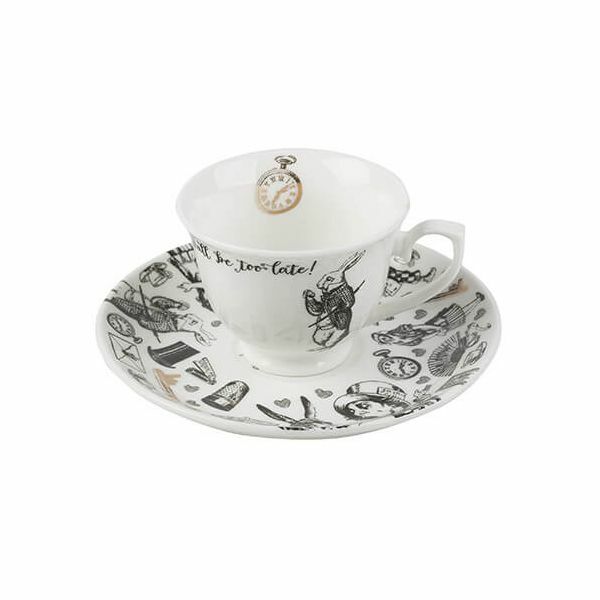 Beautifully made from fine bone china this Victoria & Albert espresso cup and saucer is illustrated with scenes from the original Alice in Wonderland book. Portrayed with illustrations of top hats, pocket watches and keys and has the words 'oh dear! oh dear! I shall be too late'' around the brim and features the characters the Mad Hatter, White Rabbit and Alice. 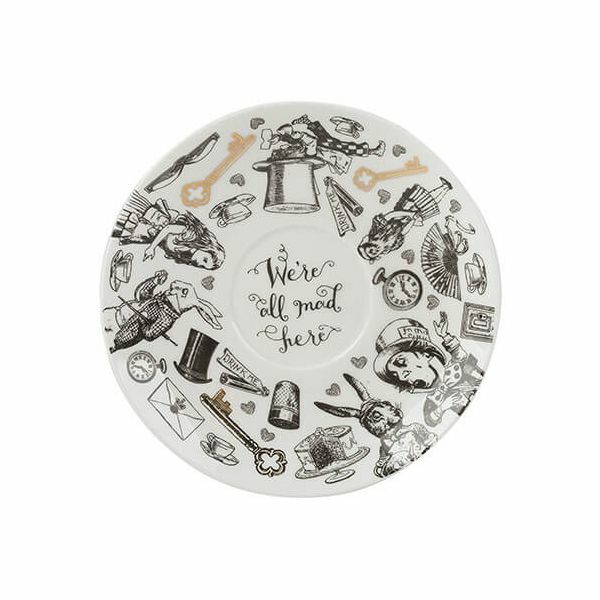 The saucer also reads 'we're all mad here'. 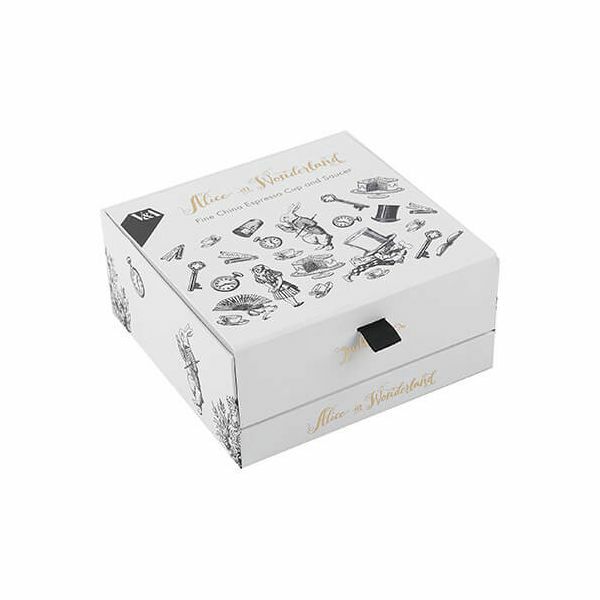 This stunning espresso cup and saucer is presented in gorgeous illustrated packaging with a puzzle enclosed to begin your adventure.